Style Steal: Gillian Zinser’s boyish tee trend at Primark! As you may know this spring/summer I’ve somewhat resisted the sugary, girly, sorbet shades in favour of a grungier, surf style look that I seem to be drawn to on the high street. It’s a look that I’ve found super easy to wear this season, and that I particularly love on 90210’s Ivy Sullivan, played by Gillian Zinser. On a recent trip to Primark I came across some gorgeous tees that are perfect for a grungier California surf look, but it turns out that the cool washed out Ivy style tees were actually from the men’s section! Primark’s mens’ section at the moment is rife with worn in style, slobby tees perfect for the kind of look I’m aiming to replicate at the moment, and the tees are even a snip at £6 each! If you like loose pockets as well as a looser tee fit for summer, then the mens’ section is where you’ll find some great Ivy Sullivan style tees for a fraction of the price. 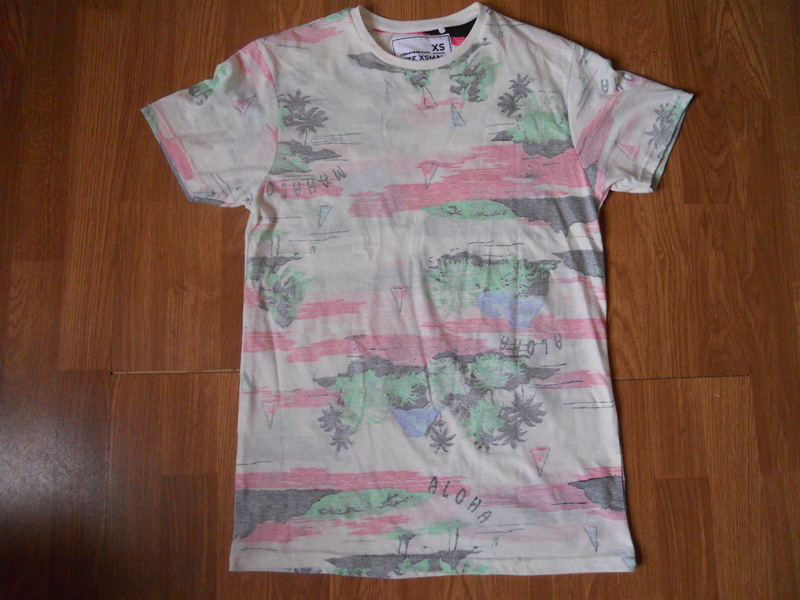 I picked up this awesome inside out style Hawaiian tee for £6 that definitely has that summery, Ivy vibe without being tacky or cheesy. I’m so excited about pairing this with simple, summer basics for an easy throw-on look that’s brilliant for the hotter summer months that I hope will come, but easy to layer when the weather plays up. 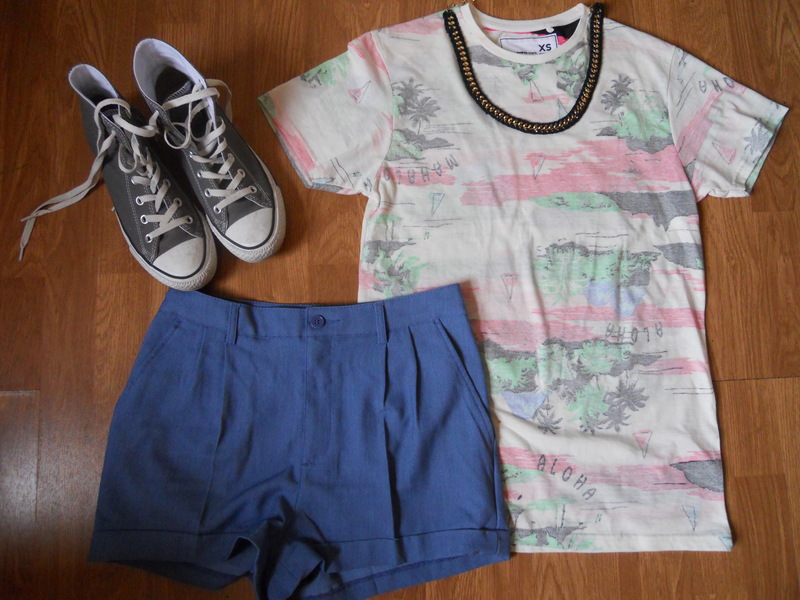 This is how I’d pair my new tee, with a grungy chain, summery shorts and some converse for a real laidback vibe. It definitely taps into the ‘haute casual’ trend that’s current right now and it’s a cheaper way to achieve that much coveted Gillian Zinser look, right from the high street! The converse are from Schuh, the necklace is from H&M and was featured in a recent hardware post, (click here to read more), and the shorts are also H&M and will be appearing in an upcoming summer basics post. Disclaimer: All products were bought by me, all images are owned and were taken by me, aside from the Gillian Zinser inspiration photos which link back to source.